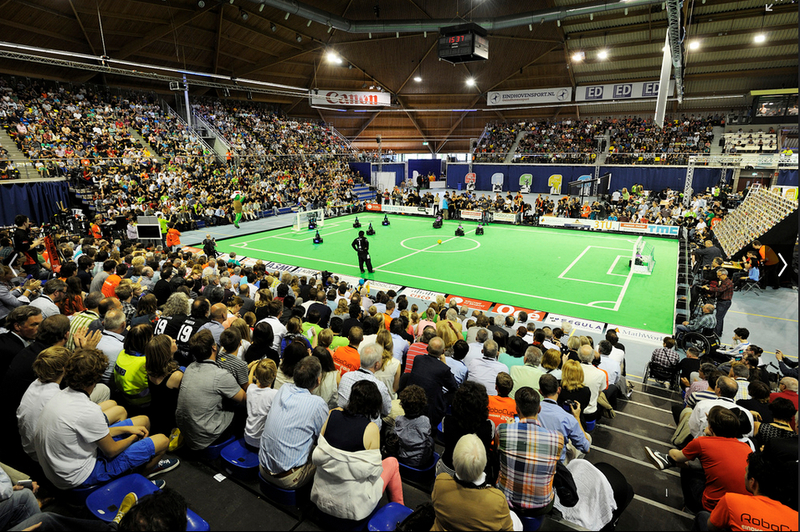 In the Middle Size League (MSL) two teams of five autonomous robots play soccer on a 18 x 12 meter indoor field. Each robot is equipped with sensors and an on-board computer to analyse the current game situation and successfully play soccer. Through wireless communication the robots can establish inter-team cooperation and receive all referee commands. No external intervention by humans is allowed, except substitutions. The robots have a height of approximately 80 cm. CHALLENGE: RoboCup MSL is a very innovative project. In mechatronics and software design a lot is still undiscovered. Within RoboCup completely new ideas are conceived and developed. Because the RoboCup organization adjusts the rules each year, all teams are forced to innovate year after year.